Founded in 1921, Phi Alpha Theta is the national honor society for students of history. The University of Miami's chapter was established in 1951. Members must have taken a minimum of 12 credit hours of History classes (including credit granted for AP or transfer courses), have a minimum History GPA of 3.1, and a minimum overall GPA of 3.0. You do not need to be a History major or minor to become a member of Phi Alpha Theta. To apply for membership, please email Prof. Karl Gunther. 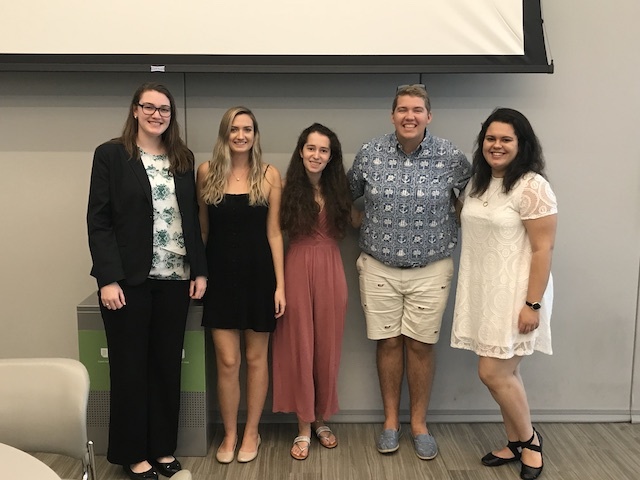 Congratulations to our Fall 2018 Phi Alpha Theta Inductees: Dana McGeehan, Kat Weetman, Isabella Tenenbaum, Randy Fitzgerald, and Alejandra Fernandez. 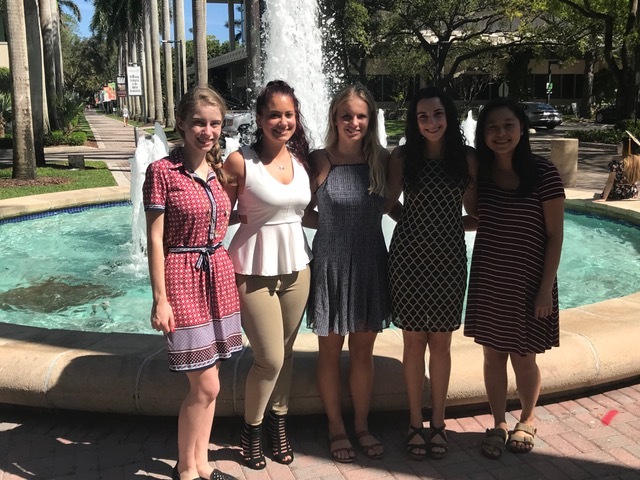 Congratulations to our Spring 2018 Phi Alpha Theta Inductees: Kimberly Dodt, Brianna Hernandez, Sasha Sutcliffe, Abbie Auster, and Sammei Gosney-Doak.